BlueStar appliances offer endless customization on a platform built to bring the power of a professional kitchen into the home. 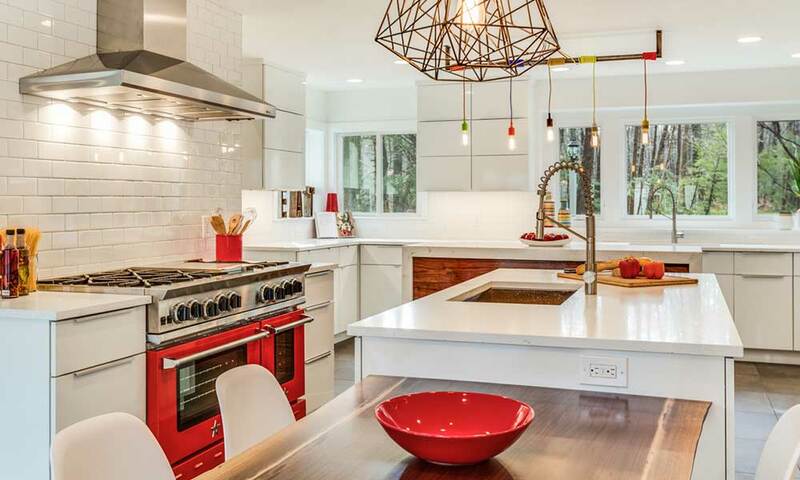 Renowned for their iconic BlueStar range, the line now includes an entire kitchen suite - vent hoods, refrigeration, wall ovens, range tops, and custom dishwasher panels. 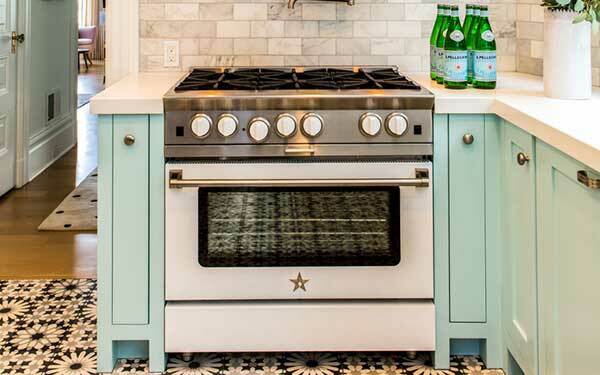 Popular with all-star chefs, BlueStar appliances are a true culinary dream for home chefs who are passionate about achieving restaurant quality results at home. 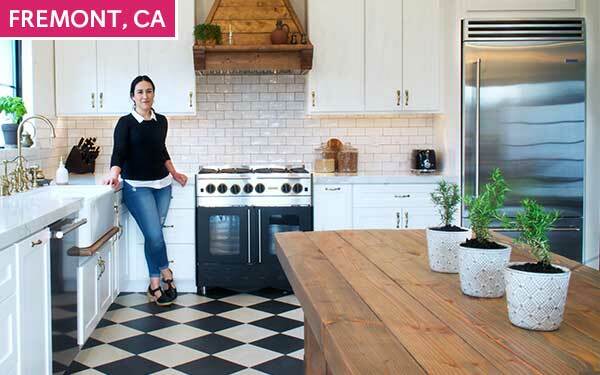 When Bettina Pimentel moved into her home it was completely outdated, so she decided to totally gut the kitchen for a fresh start. “I wanted something fun, that had character, and that I could personalize to fit my lifestyle.” she told Simon Joseph, her Appliance Specialist. “He showed me photos of his own BlueStar Range on his phone. Once I saw it in person, I knew it was the one for me." Click here to see a before and after of her kitchen and learn more about why she chose BlueStar. 25,000 BTU PrimaNova burners deliver high, concentrated heat – perfect for achieving unmatched searing and an ultra-rapid boil. 22,000 BTU, 18,000 BTU, 15,000 BTU and 130°F simmer burners complete your range with unmatched control and precision. 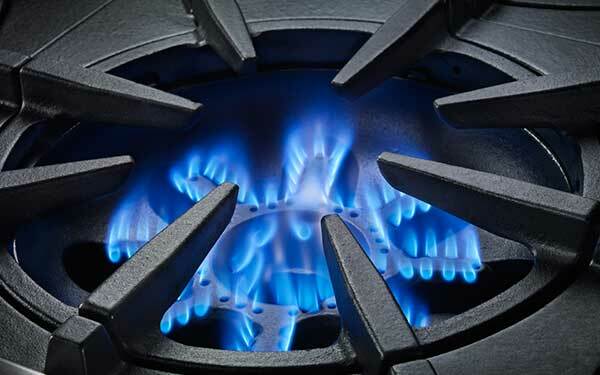 BlueStar’s unique open burner system ensures maximum efficiency, delivering intense heat directly and evenly across the bottom of the pan. Prizer-Painter Stove Works, Inc. began making BlueStar in 1880 at the company factory in Reading, Pennsylvania. The handcrafted products have spanned generations - some of which are still in use to this day. BlueStar products today are made with the same impeccable craftsmanship, using only the highest quality materials for unsurpassed performance. Remodel your kitchen for less, and save up to $1,500 when you bundle a qualifying BlueStar freestanding range, ventilation hood, and refrigerator. Valid 12/29/18 - 6/30/19.